The Saints were in position to win their first preseason game vs the Pats on Thursday night on the road, but a John Kasay field goal was wide right with 3:07 left, and the Saints fell by a point, 7-6. Below are highlights of the game from around the web with links from different stories about the teams first preseason game without head coach Sean Payton. Patriots win exhibition opener, 7-6 over Saints – The AP gamer with the basic news about the game including some stats as well. Martez Wilson not so special on special teams – Saints defensive end Martez Wilson won’t want to watch the film of not one, but two penalties on special teams on a punt attempt that eventually gave the ball back to the Pats. 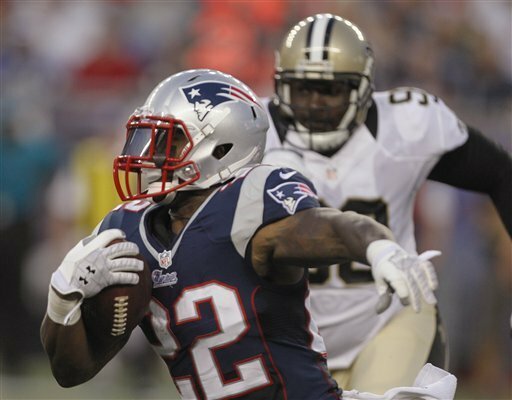 Saints Lose to Patriots 7-6 in Defensive Showdown – Another recap, this time from the folks at Canal Street Chronicles, who put more focus on the Saints and what they were able to do good and bad in the loss. Observation deck: Saints-Patriots – ESPN’s take on the one-point loss, and what you should take away from it as Saints fans.